The story of an English Radio Amateur who returned to the hobby in January 2011 after being QRT for 19 years. New WAB Reporter links in WAB tab. 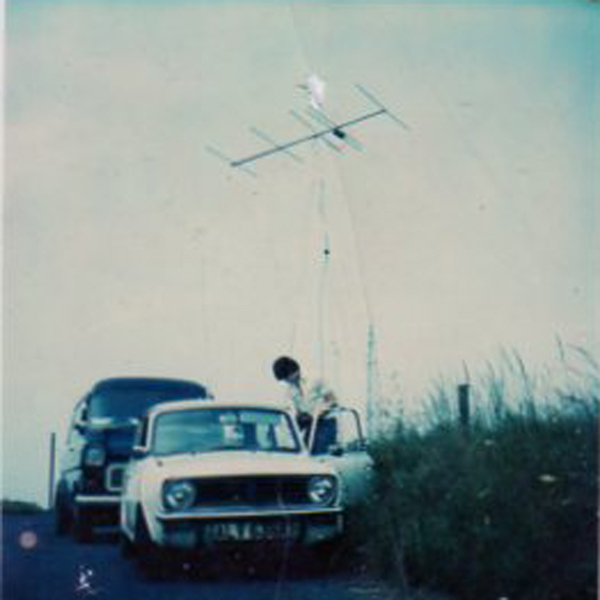 I was born in 1952 and became interested in Amateur Radio in 1974 after conversations with a Short Wave Listener with whom I worked . original equipment was an old BC348 ex military radio which i picked up at a Club Junk sale. Much improved after I fitted a S meter and a FET preamp. I decided to go for my licence the following year and passed my exam around October 1975. 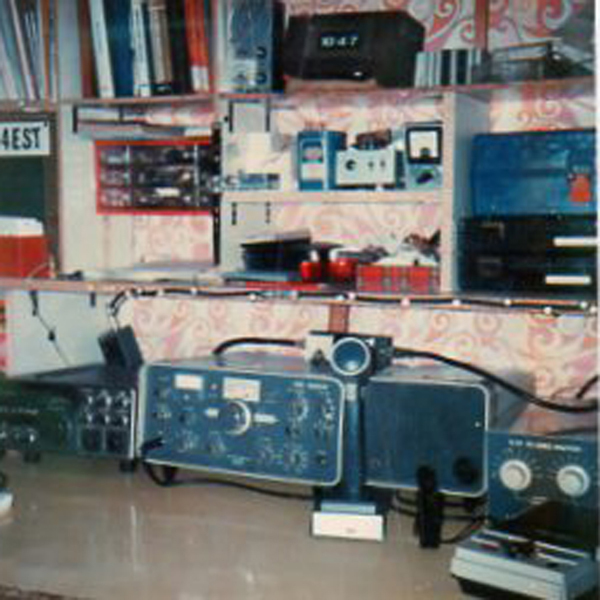 I wanted to use the HF bands, so studied hard for the Morse Exam which I passed first time December 1975. I immediately applied for the Class A (Full) licence which arrived 31st December that year. 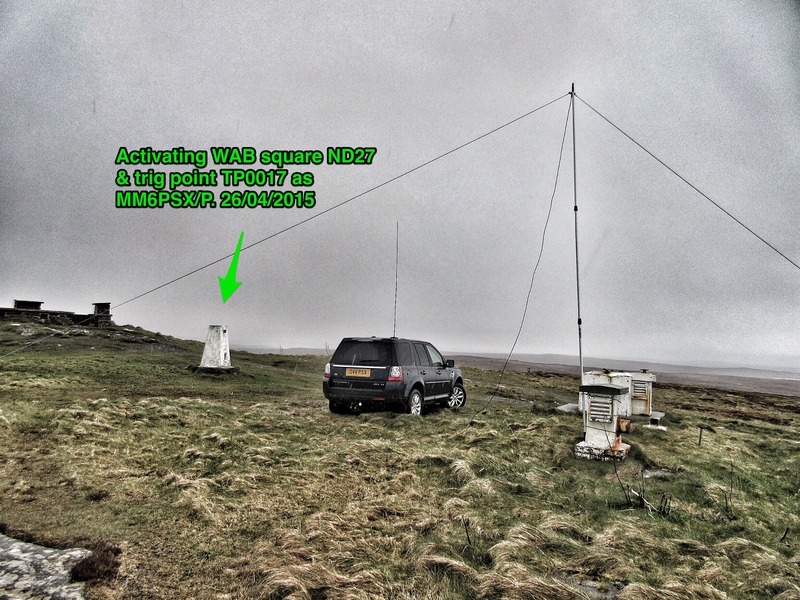 My equipment at that time was a Trio TS700G for VHF, and a KW2000 for HF was obtained shortly after. Antennae for the hobby were simple, a "slim Jim" for 2m, a folded dipole for 20m and a 'long wire' wrapped around the loft for other bands. The KW EZ-Match ATU hid a multitude of antenna theory sins. Grossly inefficient but worked after a fashion. 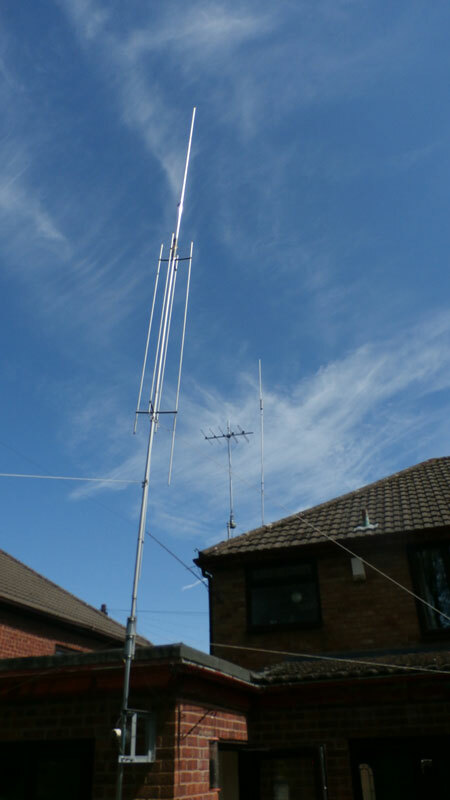 I subsequently purchased a 40-10m vertical which I mounted outside, and installed a 6 element quad in the loft for 2m. Worked into mainland Europe on several occasions so was quite happy with this antenna. a UNIDEN 2020 and a Yaesu FT221R for VHF replaced the KW2000 and TS700 a few years later, the Uniden was the best receiver in my opinion. Subsequently this was replaced with a TS520 and finally for that operating era a Kenwood TS820s still in my possession, although with a PLL board fault. Went 2m mobile at times up Billinge Hill in my Mini 1275GT. I also became interested in Computing and built my first computer from a kit, a "Compukit 101" which boasted 4kb memory, but found this inadequate (Duh!). I did manage to squeeze in a basic "Star Trek" program into the 101 which utilised every byte. An amateur I spoke to on 2m from the Midlands said he would send me a copy if I did not have it! This was replaced with a BBC Micro Model A which was leading edge at the time, and still has features not found on modern PCs. After a few years I became interested in packet radio and sending data over the airwaves on 2m. 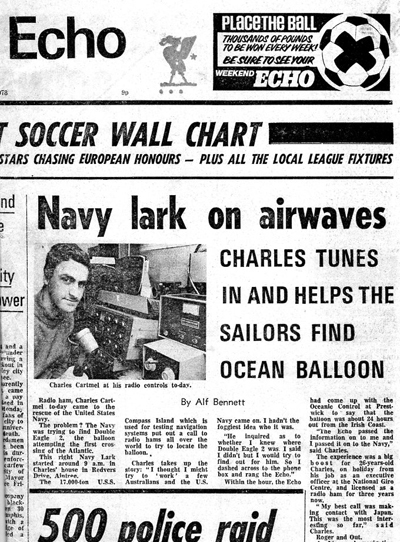 This led on to getting involved in testing new 'packet' software (written in Assembler) in the late 70's which we obtained from Cambridge labs and several of us got involved in tweaking this and we improved it's usefullness from allowing 3 to around 10 stations on the same frequency being able to transmit messages to each other discretely or en-masse. Great fun when it worked, frustration when it didn't! This subsequently was upgraded to the BBC Master with Disk Drives which became key to the data experiments. August 16th 1978 - moment of Fame. While scanning the bands I encountered a call from "Double Eagle" (NWPG), the american balloon in an Atlantic crosssing attempt. Apparently their main radio failed and they were unsure of their position and had no contact with their base. I 'sorted it' with a few calls and ended up on the front page of my regional newspaper. In 1984 I moved house, at which point Radio took a hit, I had no decent VHF take-off into the old area, so lost contact with some of the lads. I still remained an active member of the Liverpool and District Amateur Radio Society (G3AHD), and was Secretary and Competition Manager for some years. I suppose my biggest contribution was organising Portable operations where priorities were a bit vague. This was sorted by the simple rule of thumb where the first tent to be erected was our beer tent. All else flowed smoothly then (well seemed to). I went QRT in 1991 after repeated attempts to erect an inconspicuous antenna which met the approval of the wife. The setup i was using being an end fed stretched when needed down the garden. Only made 4 QSO's over 1990/1991 so gave it up as a bad job. 1992 my son was born, and 1994 a house move into an area where Ham Radio, especially VHF was a definite no-go. same issues with getting an antenna up with the approval of the other half. 2005 saw my separation and move to a new QTH, same area but a much better Ham site. 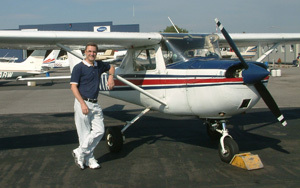 In 2006 I took early retirement and decided to learn how to fly light aircraft, a Piper Tomahawk to be exact, and improve my golf. Former succeeded, while jury still out on the latter. Did not resurrect the hobby though until January 2011. Data modes are my most popular modes so far, using HRD version 5.24.38 and DM780 with a ZLP minipro interface. Now active on "Worked all Britain" (WAB) mainly on 7.160 MHz. When I came back to the hobby the station developed in a chaotic fashion over the first few months . An antenna for the HF bands was my priority and a vertical covering 10 - 80m seemed the best option as my garden was only 40 x 36 foot. This was obtained at the winter rally in Manchester. My garden is landscaped so erection at the far end was not an option so I opted for mounting above the flat roof covering the extension on the back wall of the house. 20 radials were cut for 20,17,15,12 and 10m bands, 1 only for 40m. The antenna I chose was the Snowdonia Radio Company HF360. This was fed through a 9:1 balun (built in) and matched well to the ATU. I have since replaced this with a GAP Titan DX which is SUPERB. I also purchased an X65 end fed wire (65 foot) which stretched to a pole on the rear fence from a feedpoint close to the front of the house. 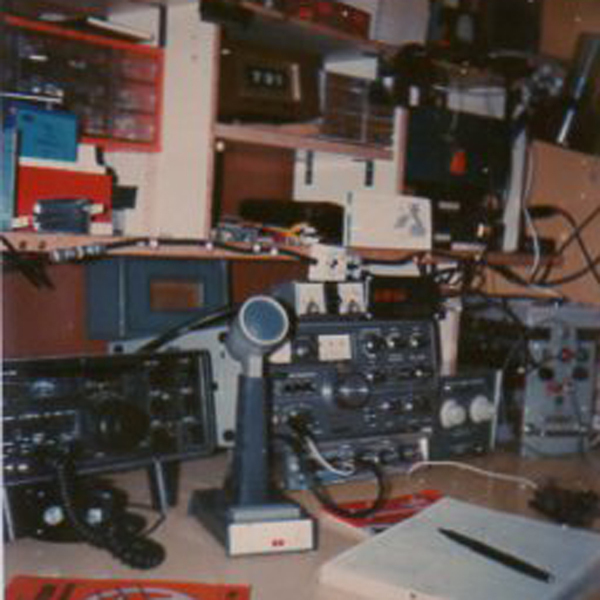 When I went QRT in 1991 I was using a Kenwood TS820S as the main rig. When I tried it out iin 2011 t was not receiving and the digital display was showing gobbledegook. Traced it to one of the internal oscillators, probably the PLL board. Decided to modernise (relatively) so bought a TS570D. My TR9000 for 2m was still working and I connected it up to a homemade phased 1/2 waves in the loft. It was not long before I realised the TR9000's tone oscillator was non-operational so bought a FT-480R off eBay - BIG MISTAKE - receiver deaf, 20db down on the Trio. I contacted Castle Electronics and sent it off to them. They advised it had been fiddled with and realigned it. After hearing things now I tried transmitting - kept losing power to the antenna on a random basis - relays - had them changed - all operational now except for the memory - can't be bothered now. I just had no faith in it so bought an ICOM IC706Mk2G which got me on 6m and 70cm as well as 2m. Use it mostly for the Air bands though as a former 'hobby' pilot interested in local airport activities. My 6m halo not too good so need to work on an antenna soon! As compared to my vertical and long wire antennae it is much less prone to noise pickup yet receives signals just as well, better perhaps as it is more omnidirectional - not as strong (6db down) but S/N ratio much better. Have heard South Africa, China and Indonesia now which were not resolvable previously, and the areas I previously heard very well are still pounding in. Truly omnidirectional. 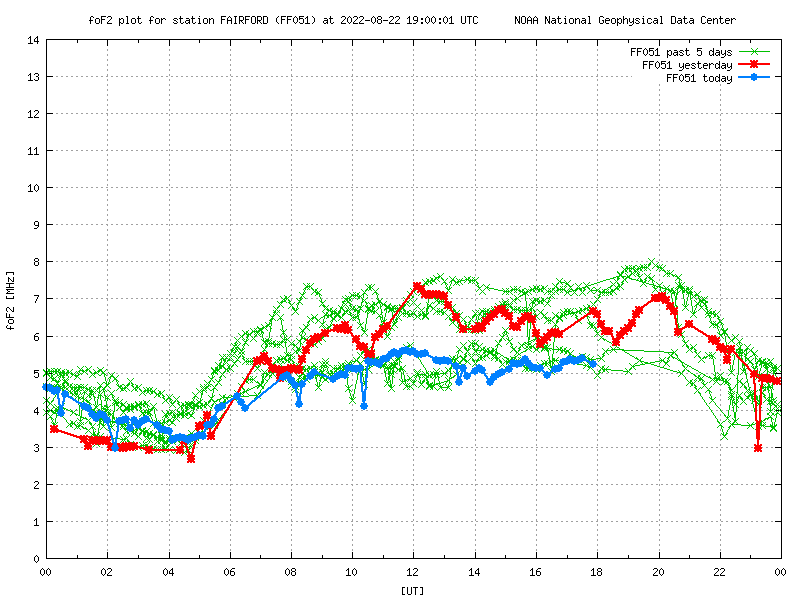 Incidentally the first station I worked was in Belize.through a pile-up using 50W PSK31 so nice christening. Worked Australia, and heard several South African countries , Indonesia, India and Pakistan which were never heard previously. CobWebb doing the business here! Bought an antenna analyser (Rig expert AA-30) and evaluated my existing HF antennae. HF360 absolutely rubbish below 7 MHz so decided to replace it. After an 8 week wait my GAP Titan-DX arrived. On opening the box I found that in transit from ML&S the contents had been damaged. The main section was badly dented by a heavy object which had punctured the box rendering it useless. This was reported to ML&S who immediately arranged for collection by UPS and after inspection by them upon receipt a replacement antenna was despatched. Excellent service. After a few hours construction based on the instructions which were poor, and many internet photographs, I built the beast and with the help of my son mounted it on the side of the extension. A bit disconcerted that the maximum mast size is 1.25" . This seems a but flimsy considering the antenna is 25' tall. The antenna does not require radials, this is accomplished by having a 31' hoop around the base offset from the mast by 4 80" aluminium spreaders. This is for tuning on 40m. There is an alternative however and this is by having a 32' counterpoise attached to the mast. This was my choice and after a bit uf trimming I got all the HAM bands down to < 1.6:1 SWR excepting for 80m where only 150 KHz falls into this range. In comparison the the end-fed wire which performed well, this is BRILLIANT. 10db up on some signals and more omnidirectional. I took the plunge after returning from holiday and purchased a TS990S second hand from MLS. Took some getting used to and driving it was akin to 'rocket science' . Have since learned the tips and tricks in getting signals out of the noise and setting it up for data. Achieved WAS (data) in November 2014, final confirmations received December and the award was duly received. 1/2 size G5RV obtained and erected. 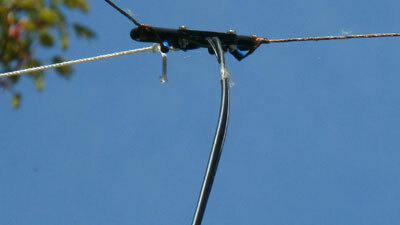 Far better results than the long wire which after adding extra wire tuned up on top band. 80m however still an issue. Improvement over the end fed around 10db with less band noise. Bought a full size G5RV from the Blackpool rally. erected so that one section is almost a straight line to the 20 foot mast, the 'free' end being attached to a bracket on the side wall and held out by a 45 degree support (seen in the photograph). The feed point is supported about 1m from the mast with a nylon cord (see image), the excess feeder @ 30.6 feet overall wrapped across trees in the garden. The other leg down at 45 degrees to a fence then along the fence for a further 12 feet. Signals virtually the same but am now able to get on 80m. Photo of existing antennae above. Also bought a Baofeng GT-3 2m/70cm handheld. Not used in anger yet. UPDATE: this turned out to be faulty so returned to Moonraker for a replacement. After a few false starts with a QSL card design I finally decided to get some printed for both my own call - see above - and the GR4EST call. I wanted to design something which typified village life in the UK, and a game of cricket at the village club, the church in the background under overcast skies seemed to represent this perfectly. 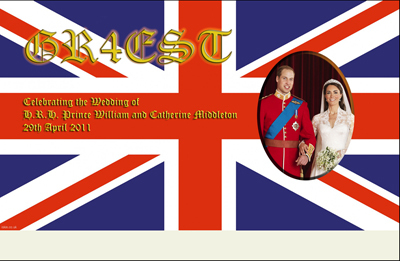 The GR card was easier, being based on the Union Flag. This is where the fun (sic) started. I use HRD for logging which is based on a Microsoft Access database. I have some expertise with this DBMS from a professional role (before I retired) as well as Microsoft Word. I therefore decided to overprint my cards via a Mail Merge. I created the "Word" template, linked to the database as the Data (Recipient) source and did a test merge. All seemed Ok so next stage was printing out a test card. I then found that the minimum size my Kodak ESP-3 AIO could handle was 6x4 inch paper. As it drinks ink, and the cartridges cannot be refilled I decided to bite the bullet and replace it with one which could handle QSL cards @ 3.5x5.5 inches. Trawling the internet I found the HP Photosmart Plus B210a at £79.99 in my local PC World. Got it home, connected up via the wireless network, printed off A4 test print OK, then loaded up the QSL card blanks into the Photo tray. Options set to use this tray on Printer Preferences, however A4 from main tray was used. I went to the Printer properties and found the Photo Tray was shown as "Not Available". Set it as holding 9x13 cm paper as it was the closest size to cards, Custom not available on this printer, and 'Saved' - well perhaps not as message came back that it "Can not save Printer settings". Eventually, after about an hour of fiddling, got it to print out one card from the Photo tray, but after this settings were lost again. Investigation on the internet showed that this is not an uncommon problem with this printer. I decided to upgrade drivers etc. so downloaded the new versions from the HP site. 88% into the extraction it failed saying "unable to create output file" even when run as Administrator. Contacted HP who suggested resetting etc. but then said it was a hardware issue, and to replace the printer. One guy who had the same problems reported that it worked off one of his PCs, but not the other two, so hardware not the issue in his case. I have had issues with HP kit before as regards software stability and this purchase was made with some trepidation. I took HP's support advice to heart and returned the printer for replacement - I have bought an Epson BX525WD which is working perfectly. A printing firm that cannot do custom sizes is to my mind unfathomable. Perhaps they do not know how a guillotine works! UPDATE 2 - 1 day later: contacted "ana graphics", a local printer based in the Wirral and advised them (Andy) of my requirements. He quoted me for 2 paperweights, 135gsm (too lightweight) and 200gsm. Not being sure the latter would pass through my printer successfully he posted off several sheets for me to trial, received the following day and passed my printer tests with flying colours. Now given go-ahead for a print run. His approach is as the first batch I had done at instant print being 4 up on A4 stock, guillotined to 9cm x 14cm. 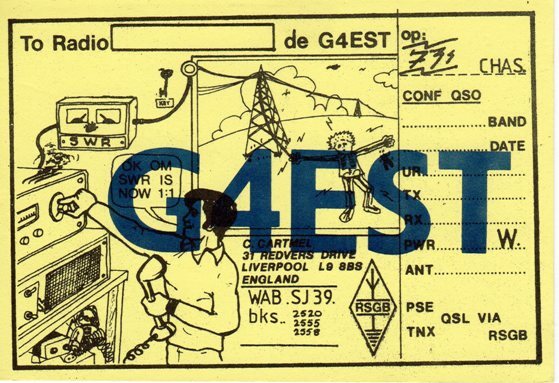 When clearing some old boxes from the loft of my former house as the 'ex' who lived there is moving I found my original QSL card, shown below. How the world has moved on! 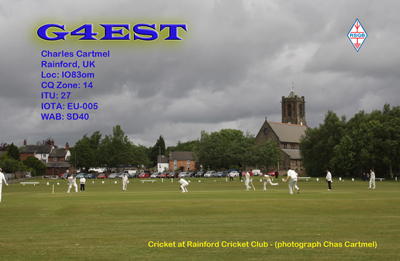 This celebration of Rainford in the new Mllennium is a tribute to the village and its people. 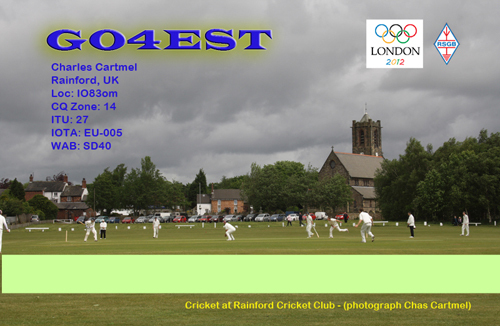 In fact Rainford is mentioned in the Domesday book and therefore predates the City Of Liverpool. We can trace the story of our village from when the area was virtually impassable mossland, to a small agricultural community and thriving manufacturing centre of clay tobacco pipes, to the Industrial Revolution and the coal mining activities of the 19th century, to large scale agriculture, and the small town community it is today. People and buildings have come and gone, the old clay tobacco pipe makers with their fascinating skills. colliery workers and pit girls and, increasingly today, the farm hands and small farmers. It is said of the village that there was once a beer-house on every corner - and a look through the old maps and records virtually bears this out. Now only a few of these buildings remain as private homes. The railway age in the mid 1900s brought wealth and prosperity to the village on a previously unimagined scale. This wealth has been built on until the village has now become a prosperous commuter settlement. In place of the old industries, new ones have developed and there is a thriving base in Mill Lane with both heavy industrial plant and light manufacturing units. The 20th century and particularly the 1960s and 70s, saw residential development on an unprecedented scale. many areas of the village today would be unrecognisable to past inhabitants. With this development came a new social order with thriving clubs and organisations. Our local churches have provided the catalyst for many of these activities over the years and although many will claim we are living in a post- Christian era the churches still provide that stability and resource which is essential to village life. Each year in June there is a Walking Day when all the local churches, schools and youth groups parade through the village. In 2000 there was a Victorian theme as can be seen in the photograph. A funfair is also brought into the Village for 4 days which is also very popular. 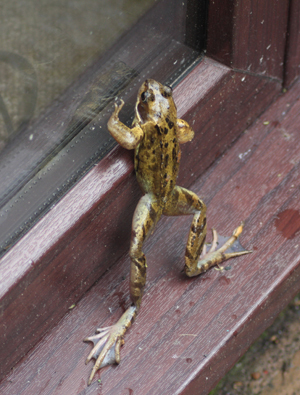 For a 'tongue in cheek' description of Walking day see HERE. The Eagle and Child Pub is a perfect venue to watch the parade go by while having a pint of beer and a burger from the barbecue. As the 20th century brought great changes, so the new one will bring similar changes and challenges. But let us hope that the social infrastructure remains as it has by and large throughout its long development - with a strong sense of community and a happy caring face. Above information courtesy of Rainford Millenium Directory. The band now attracts players from a wide area and is based in a purpose-built headquarters attached to the village hall. This was constructed with the help of National Lottery funding-the band providing one third of the cost through its own efforts. Much of this finance was raised through the generosity of people and businesses in Rainford and the band is very appreciative of the community's support, and that of Rainford Parish Council. The Band-one of the few non-sponsored bands-has an active list of vice-presidents co-ordinated by the Band president David Wood which helps with fund raising. Many players have come and gone through the Band's ranks over the years, with quite a few going on to play with Championship section Bands. Today the Band has a good mix of piayers of all ages and is making excellent progress under Musical Director Linda Nicholson. Linda also conducts the St Helens Youth Brass Band, previous national champions in their section. Four members of the Rainford Silver Band have also played with the National Youth Brass Band of Great Britain and played at the European Brass Band Championships in Birmingham 's Symphony Hall. For the last 20 years the Band has organised the Northern Open Brass Band Championships in the Theatre Royal, St Helens. These major Championships attract bands from throughout the country and are now sponsored by national retailers Wilkinson. Rainford Silver Band is in much demand at functions throughout the area. The club, founded in 1877, play at the Jubilee Recreation Ground in Rainford, accessed off Church Road between the Parish Church and the Golden Lion pub. The 1st, 2nd and 3rd X1's X1 play in the Bridging Finance Solutions Liverpool and District Cricket Competition. The U18's, 15's, 13's and 11's are in the Southport and District Junior League with the U13's and U9's playing in the Merseyside Youth Cricket Competition and the U11's in the Wigan Junior League. The club also has a growing girls section, with three qualified girl coaches. Friday Night is Junior Open Night from 4.30 when youngsters from age 7 upwards attend for practice. 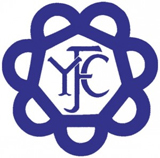 We are a group of young people (male & female) aged between 10 – 26 who like to enjoy ourselves and meet other people like ourselves with country backgrounds. But remember you do not have to be from a farming background to become a member, although it helps to have an interest in the countryside. Visit their WEBSITE HERE Why not contact us for more information? Tour of Britain cycle race. 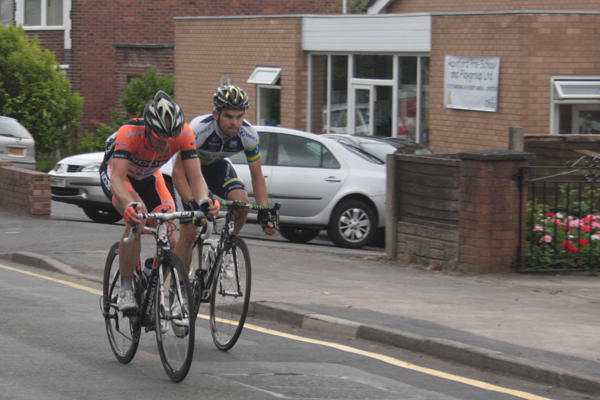 On 10th September 2012 the Tour of Britain passed through Rainford. Conditions were a bit wet with strong gusty winds. The riders seemed unaffected by this as the whizzed past so quickly that even on continuous shooting mode I was only able to get 7 acceptable photographs out of 15 taken, none of these being of what I would call good. I show two here for completeness however. 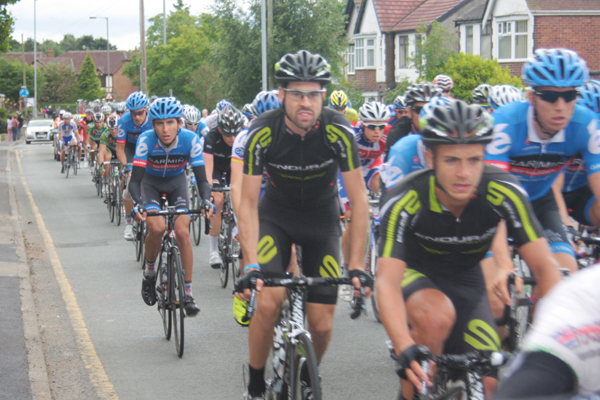 Bradley Wiggins and Mark Cavendish are in the second photograph somewhere! If they didn't wouldn't they just be CARS? Isn't is past time you knew how to use 'pastime' correctly? These banks will charge for anything! Now where are these criminal statues? The first bank on record to become sentient and make it's own decisions. Viva voyage helping UK embarkations by moving Berlin to the West country. Fine is a bit over the top don't you think? Collection may be an issue. 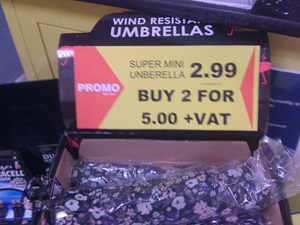 Can any of the managers spell or are they treating illiteracy as an art form? This Hotpoint gas hob has flames better than the common flame it seems (according to ARGOS)! Seen on the BBC Football pages leading to the main article. A very insightful statement from the BBC. Thanks to G7AQK's site for this one - site also well worth a look at. A pretty good read, but as an e-book the quality of the grammar needs serious examination. Why do people need to be told to use their initiative? Why are lost keys always in the last place you look? Think about it! Why is Dyslexia a hard word to spell? Where do all the police cars come from for a vehicle crash when none are available to attend reported intruders? How many public servants does it take to authorise the changing of a light bulb? While working in the shack a week or so ago I decided to give WSPR and JT65 another go. Had tried them 12 months ago but did not persevere with the modes. 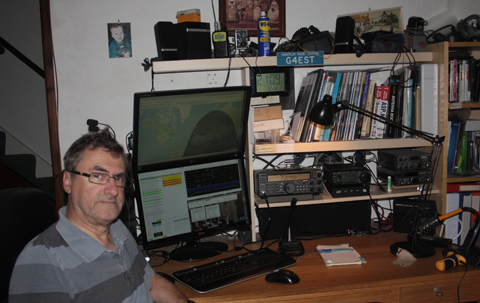 I looked on Joe Taylor's site for latest versions of his excellent software and found WSJT-X and WSPR-X. I downloaded and installed both and proceeded to play. I found that the audio levels needed for both receive and transmit were much different from those needed to/from the rig (using the TS570D) using the DM780 software through the ZLP USB mini interface, however as soon as these were set up, set rig to 10W and set about working a few stations on JT9-1. WB3FTQ was my 1st, and ultimately only contact on this mode using the WSJT-X software as a day or so later it stopped putting audio through the interface into the rig. Uninstalled and reinstalled, worked once then again failed. The symptoms are that regardless of the interface pointed to the audio level produced by the software hits 100% this being unaffected by the level control in the sound devices dialogue. Downloaded and installed the latest version (r3278) today, 17th May 2013 but no difference. Same now happens with WSPR-X. Hope it can be sorted as this software is easier to operate than the previous versions. Yesterday, 16th May 2013, i decided to leave WSPR running while working il the shack, using WSPR v 2.11. The results are shown in the image from WSPRnet below. 2 Countries not worked were heard by me, and one in the Phillipines also hearing me. Pity it was WSPR and not JT9! UPDATE: Joe has release a few updates to his WSJT-X software which has many more features that that which I tried. 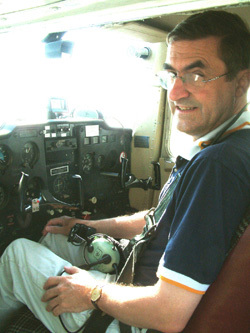 Highly recommended that you read the manuals on his site and try out JT9 or JT65. The amount of DX available as compared with PSK is far higher. In conjuction with Laurie's JT-AlertX software bringing in the DXCC entities is so much easier now with 2-way interfaces to several logging programs. 20m Bandplan for digital - where to find wsjt modes. RTTY highlighted as in contests RTTY operators wipe out the allocated area not respecting other users. I was not able to work Alaska (a wanted state) or New Zealand on this occasion, however still hoping. Messages received on the users TX frequency also show in the right portion if the WSJT-X window. These are the spectral images of the received audio. those @ -15db and higher are usually visible with my settings, lower strength signals may show a slight trace, or even not visible at all but are still decoded correctly. Set to show 2 rows of received messages. Colour schemes customised to my preferences. Yellow / Red shows a DXCC country not yet worked. Orange / white new prefix identified. 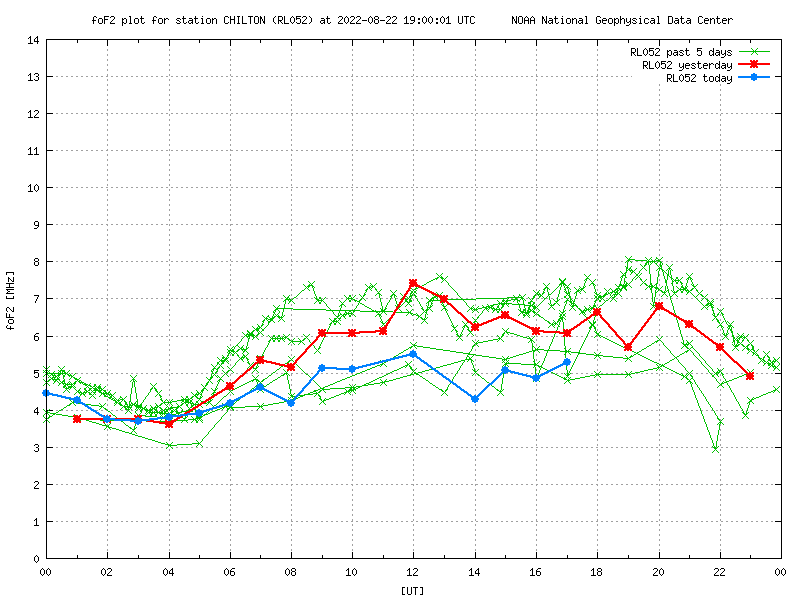 blue/blue indicates a station in QSO not matching other conditions. Other selectable colour indicators can show US states, Grids or CQ zones not worked. The colour schemes are customisable within the software. Additional markers show LOTW and eQSL status of the station. Any US stations also have their state appended to the call. A very useful feature with this software is the audio alerts where CQ calls, wanted DXCC, states etc are audible announced (if required|) Helps when doing other things in the shack. Shown below are the settings for the CAT connections for my rigs for both WSJT-X 1.3 and HRD version 5.24.38. Note the COM ports will be determined by YOUR configuration and may well be different to mine. Note: the CI-V TRN setting in the menu should be off as WSJT-X gets confused by the extra data it sends. Version WSJT v1.4.0-rc2 needed a revised config. Thanks to help from the WSJT Yahoo group the following configuration works. 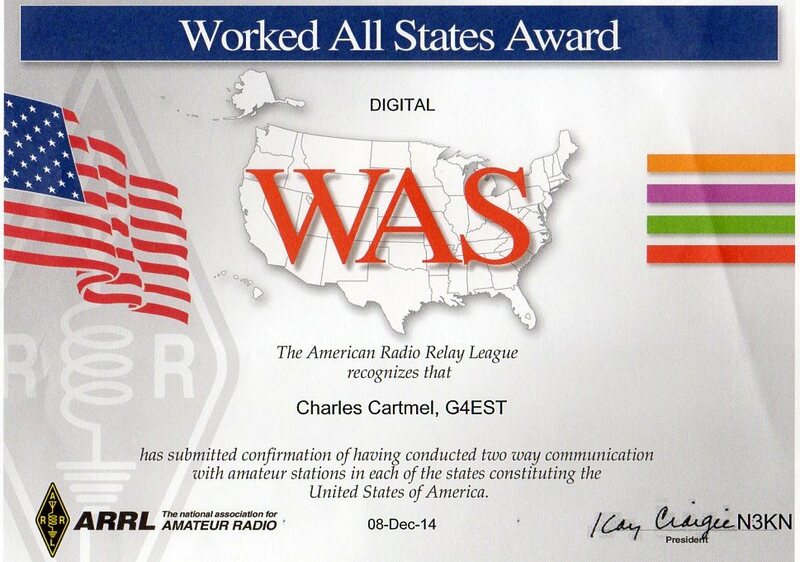 Thanks to Mark (G0MGX) and Bill (G4WJS) specifically. And thanks to Bill G4WJS the WSJT v1.5 now has TS990 settings as standard. I use USB rather than the Data/Pkt setting as the latter prohibits large bandwidth selections. Obviously the COM port is specific to my installation and the rig should be set to the Baud Rate internally. After I retired i decided to try my hand at flying. 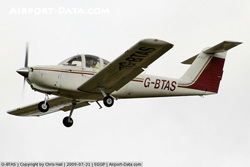 I subsequently learned in Piper Tomahawks, G-BTAS being the aircraft I used the most. I was contacted late 2013 by one of the owners of HRDLLC (Ham Radio Deluxe) advising me that as I can afford to fly then I can afford to buy their software. this was in response to me saying that the latest version os their software did not have any extra features worth $100 to me. For those guys who thing the "R" in RST stands for Radio, then this is for you. - I have heard this 'live'. This place is not advertised, but prices for 'bits' are superb. Many stations new to WAB are unsure of the correct protocol within the NET when stations are being run down the list. This section attempts to explain this. #2 WAB squares are the 10km squares as defined on Ordnance Survey maps. large scale maps showing this are available in print such as those produced by the AA or Philips and are of course available online. See smartphone app details below. #5 At the end of the run the controller will initially rerun stations who were unable to make contact when first called then ask for any mobile / portable staions wishing to call into the net. Finally fixed stations will beasked to join. Smartphone app to identify correct WAB square for current location. There are others available. Reflector Archive and lookup tables. This web based application automatically takes posts from Worked all Britain and WAB_Chat reflectors and saves them in a searchable database. Also on this application are lookup tables for trigs, tidal squares, and islands. I am developing a front end for HRD version 5.24: Still buggy but front page below. Enter details of stations on the net in the [NET] window and required squares are indicated automatically, and as reports are entered it auto sets the start / end times. Edits later can be done in the MAIN section on the left Books held are shown when page refreshed. a QRZ page can be requested directly from the [NET] window or the main detail page. if any islands present in the square these are shown in the islands dropdown for selection.. When complete the call is automatically flagged and data transferred to HRD logbook. This remains in this window until manually transferred to the [Recently Worked] window. All previous contacts listed and books shown from this point. All counts which refer to internal tables based on the trackers are automatically updated. The reports button extracts valid QSOs and produces reports which can be printed as PDFs if needed. The [Log edit form] allows searching on square, call, or name to bring up records and shows most relevant data. This can be amended as required. QSL despatch requirements set according to personal rules (e.g. 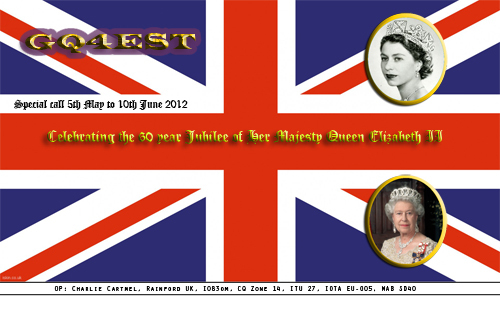 1st contact only fixed station, no mobile or portable unless a QSL is received). Links on the top open relevant websites in separate browser windows. Example of 'Grab a Grid' to find a WAB square, in this case mine... NOTE settings on the right. Note: Care must be taken with locations based on postcodes near edge of square as the addresses under that postcode may cross the boundary. the Royal mail website can specify the actual addresses within that postcode and these can be examined more closely by zooming the right hand window to street view .